Producer Elissa Logozio discusses bringing Star Wars to Space Mountain. As Space Mountain opened in Disneyland on May 27, 1977 — only two days after the original release of Star Wars: A New Hope — it’s somewhat appropriate that the iconic roller coaster would eventually converge with a galaxy far, far away. 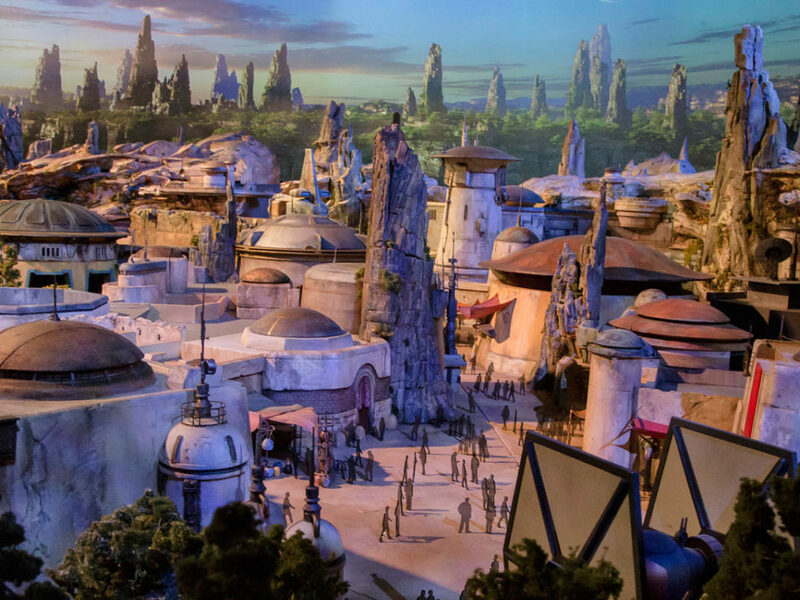 It became a centerpiece attraction for “Season of the Force,” a special celebration of Star Wars launched in the lead up to Star Wars: The Force Awakens — only it did so with a Star Wars twist. On November 14, 2015, Space Mountain became Hyperspace Mountain: the same thrilling ride, but this time with enveloping visuals and sounds that make you feel like you’re in an X-wing. Star Destroyers are off in the distance, TIE fighters swarm around you and blast laser bolts in your direction, all while John Williams’ classic score pounds. It’s a how-did-they-do-this? type of experience, and is not to be missed. (Purists, fear not: Hyperspace Mountain is not a permanent change.) 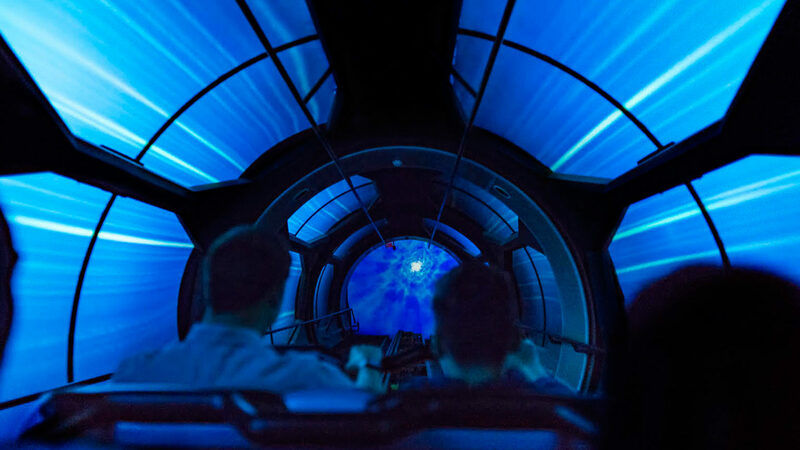 StarWars.com caught up over e-mail with Elissa Logozio, associate producer, Walt Disney Imagineering and producer of Hyperspace Mountain, to discuss the ambitious project, from deciding what the experience would be to how its creators pulled it off. StarWars.com: Where did the idea come from to convert Space Mountain into Hyperspace Mountain? It’s a pretty bold project, considering how iconic Space Mountain is. Elissa Logozio: The world erupted with excitement in response to the announcement of Star Wars: The Force Awakens, and our team was no exception. 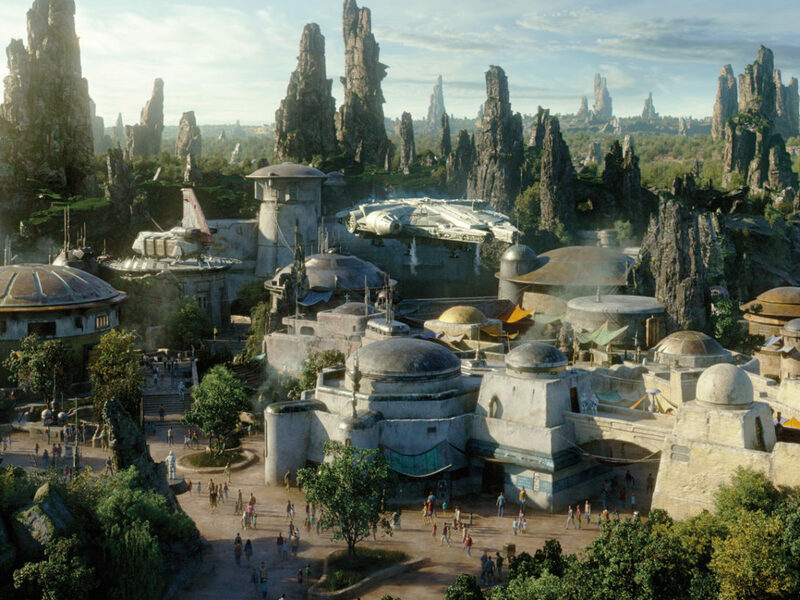 We wanted to find the best way to celebrate the Star Wars universe, and challenged ourselves with the iconic question: what aspirational Star Wars experiences can we offer to our guests? Space Mountain is already an exhilarating attraction that provides our guests the ability to race through space, and it felt like the perfect opportunity to celebrate Star Wars. 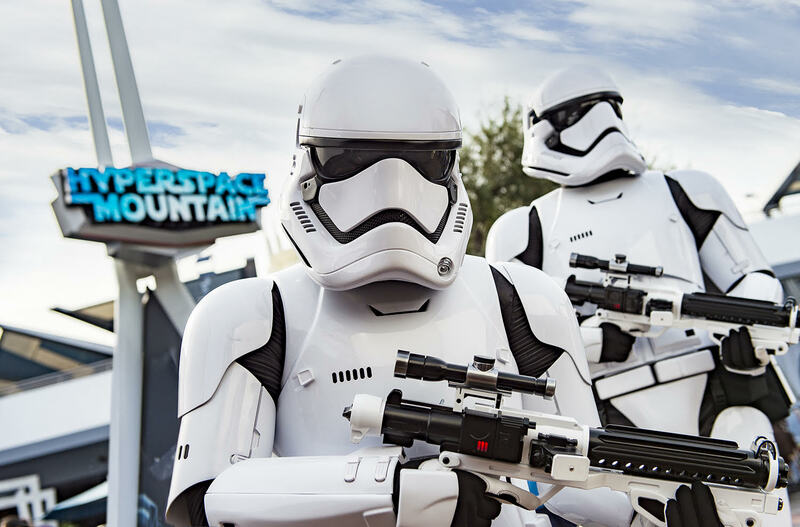 Our team was immediately inspired by the iconic battles in the Star Wars episodic films, and knew that this was our chance to bring that to life at Disneyland. StarWars.com: It’s called Hyperspace Mountain, but the “hyperspace” part of it is actually very short: you’re thrown into a Star Wars battle very quickly, with TIE fighters and blaster bolts screaming past you. How did you decide what the experience would be? Elissa Logozio: Our team wanted to make sure that we recreated the excitement of Star Wars immediately; the battle erupts and you are literally (and figuratively) thrown into a roller coaster of action. 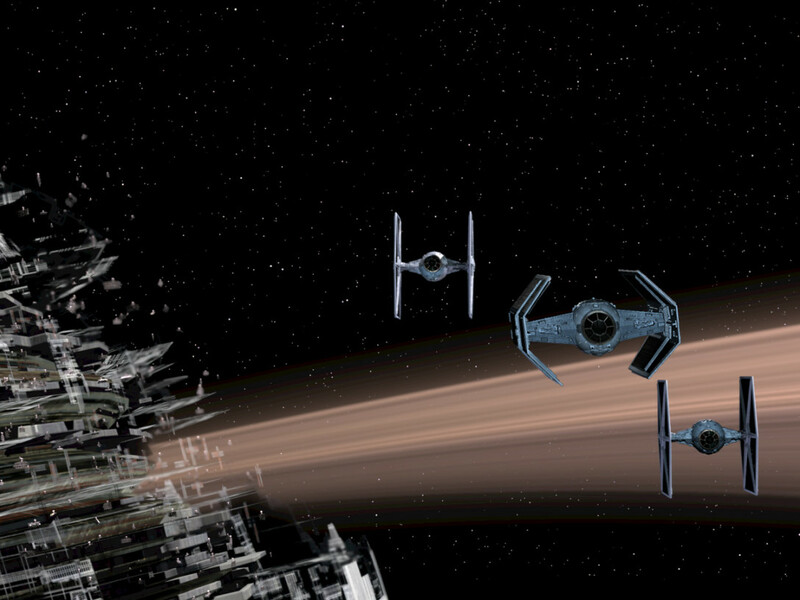 We wanted to focus on the “close calls” of surrounding TIE fighters, along with the squadron of teammates that are there to help cover you. One of the biggest joys of a Star Wars encounter is hearing the squad talk to each other, protect their teammates, and make immediate strategic decisions in the heat of battle. Hyperspace Mountain was our opportunity to invite our guests to experience those incredible moments. 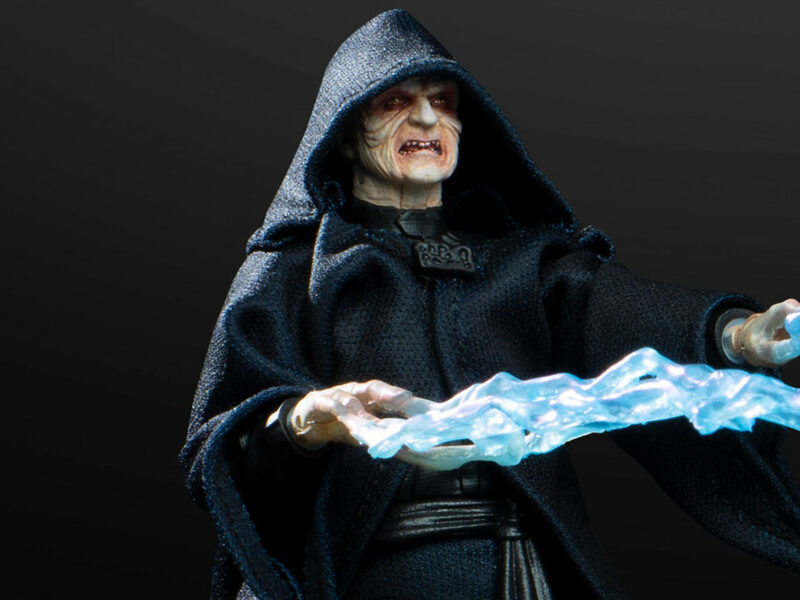 StarWars.com: What was the process in bringing it to life? 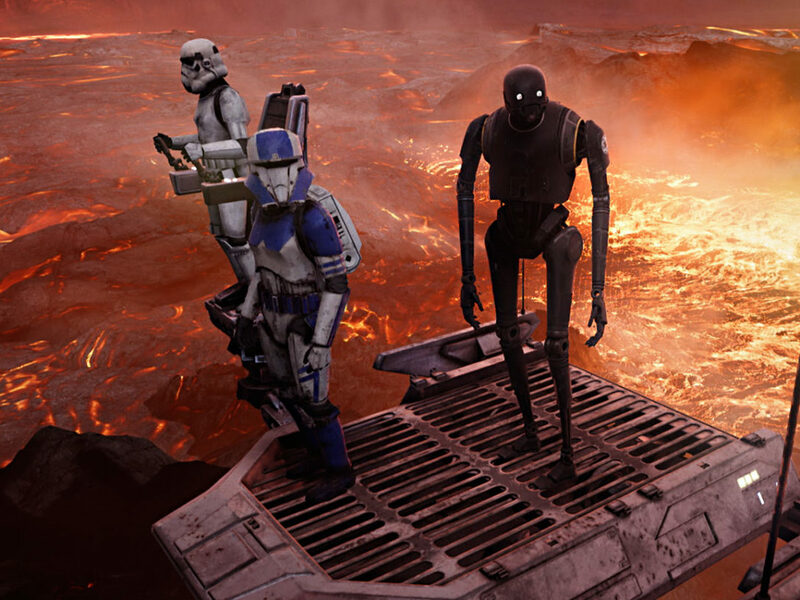 The experience balances Star Wars music, radio chatter, sound effects, and all the visuals. It seems like a big undertaking. 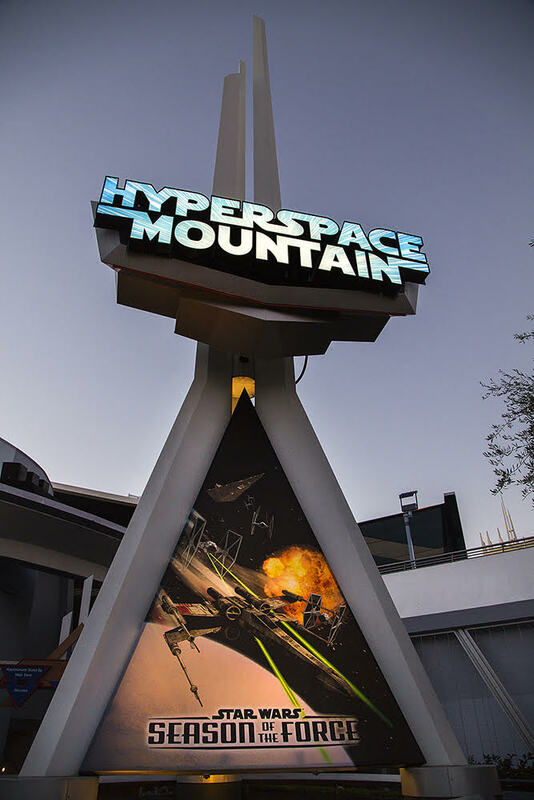 Elissa Logozio: Hyperspace Mountain was the culmination of incredibly talented teammates from across the company — it required a clean balance between sound effects, chatter, and music to make sure we could tell a complete story. Some of the questions we had to answer were: How do you incorporate iconic Star Wars music on a roller coaster, so that it feels like the drama within the music matches the ride profile? What dialogue is needed to tell a story, without becoming confusing or overly-chaotic? What visuals are needed to help tell that story, but are clear enough that can be seen as you are racing through space? These are just a few of the many questions our team had to answer, and required all of us to be in lock step with each other along the way. There were many edits, adjustments, and ride testing scheduled throughout the creative process to confirm that all parts of the project pieced together seamlessly. 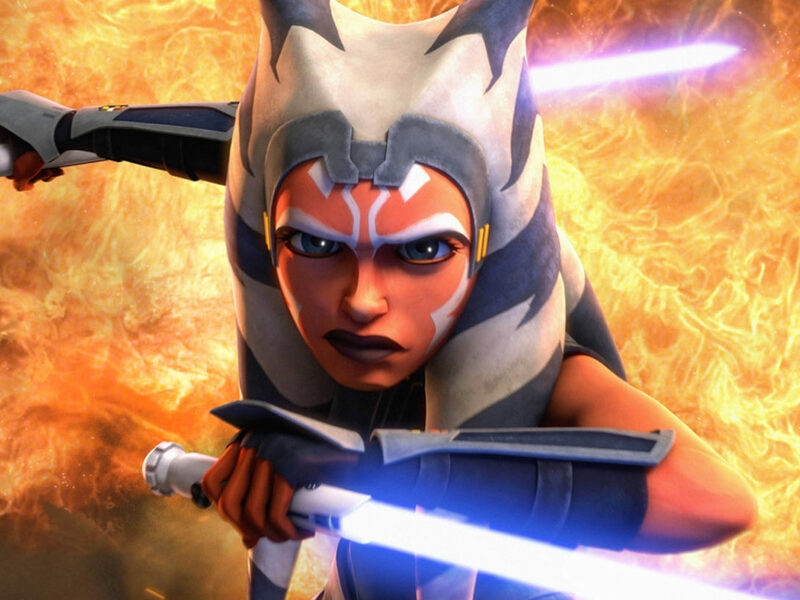 StarWars.com: What was the collaboration like with Lucasfilm? How did you work together in creating Hyperspace Mountain? Elissa Logozio: With Lucasfilm we are able to work with creative team members and leaders who live and breathe Star Wars and can help find solutions to projects that we may not have discovered otherwise. We worked very closely with their team while creating Hyperspace Mountain to make sure that we were telling a story that could fit within the larger Star Wars universe. 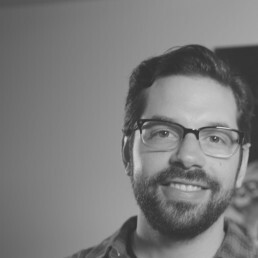 They were able to help us work out story lines, character dialogue, and music choices to make sure that this attraction felt like a natural extension of the franchise. 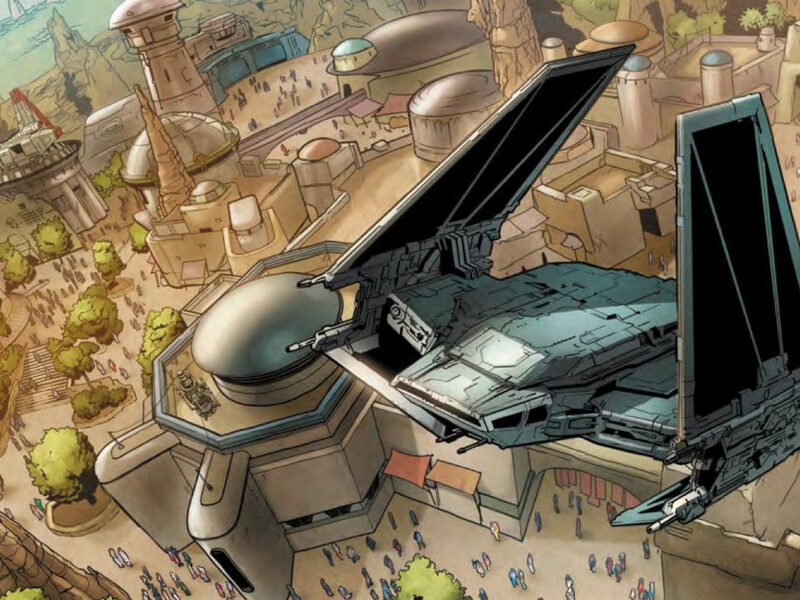 StarWars.com: Are there any Easter eggs — whether a hidden visual or sound effect or detail — that you’re proud of and think fans should know about? Elissa Logozio: There is a brief mention of Jakku as you walk through the queue, which was not a randomly-chosen planet to highlight. For those that are deeply familiar with the iconic battles and wars that take place in the Star Wars universe, the Battle of Jakku was hugely impactful. 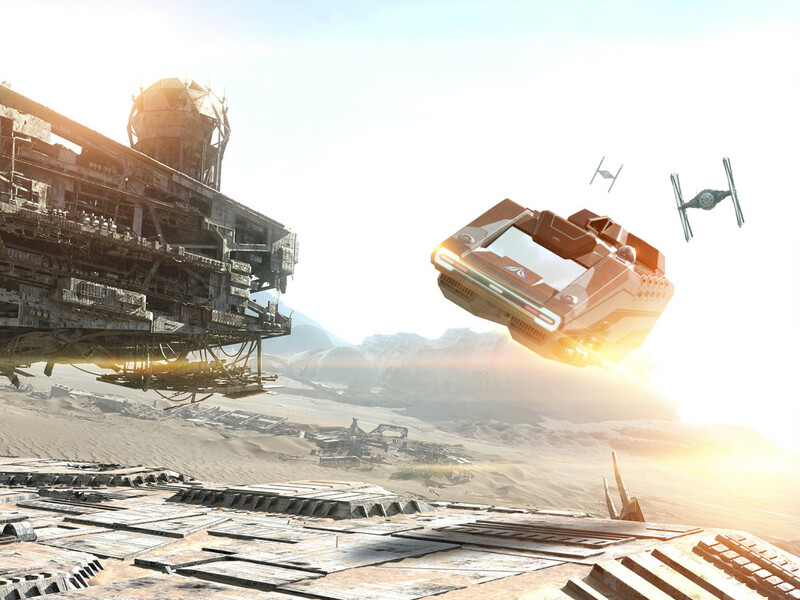 Although we do not mention it outwardly, the encounter you are thrown into when you exit hyperspace is actually one of many fights fought within the Battle of Jakku, making our guests now a part of that Star Wars history. StarWars.com: Considering everything you’ve worked on, where does Hyperspace Mountain rank for you? Elissa Logozio: Hyperspace Mountain continues to be one of the best overlays we’ve had the opportunity to create. We were tasked with celebrating an iconic franchise through new storytelling and experiences for our guests at Disneyland, and we have been thrilled by our guests’ feedback. This project will definitely rank high on our list for years to come due to the amazing team that worked together and made it a reality. Follow along on Instagram next week as @DisneyStyle, @StarWarsLife, @StarWars, and @Disneyland take you through a week at Disneyland and Star Wars: Season of the Force. Find out more about Hyperspace Mountain and Season of the Force on this week’s Star Wars Show!